Movement practices to find ease in the body in preparation for guided meditations. 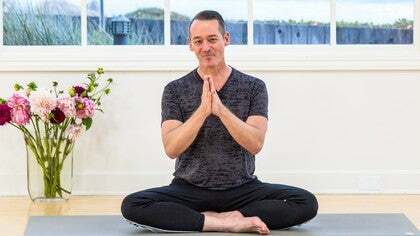 With mindful awareness on the breath and the sensations in the body, Julian carefully guides us through a series of dynamic movement practices before finding a comfortable seat for guided meditation. You will feel aware, open, and at peace. This season Julian will share a series of dynamic movement sequences and breath awareness practices designed to help us find a comfortable seat. As we begin our season, Julian introduces us to his practice trinity—breath, presence, and compassion. 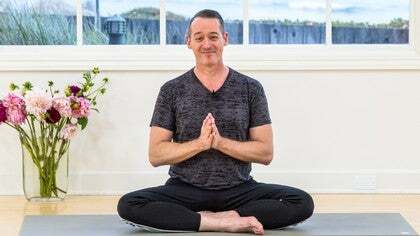 We stay low to the ground with this simple opening sequence to center and ground in preparation for our first short breath-focused meditation. In Season 2, Lydia Zamorano will explore short and targeted movement practices to prepare us to sit with ease and spaciousness. After we target the sticky spots, we will sit for meditations ranging from three to ten minutes. You will feel grounded, calm, and aware. This season we will explore targeted movement practices that will prepare us to sit with ease and spaciousness, followed by meditations. Lydia shares tips on how to find a comfortable seated position. We also explore why we would move before meditating and the many benefits this brings. Moving at a slow and mindful pace, Lydia guides us in a grounding sequence in preparation for a 3-minute seated meditation. This season, Bex shares a variety of practices to open the body and the mind. We focus on opening the shoulders, hips, and front, back, and side body to allow more ease in the progressive seated meditations that will follow each movement practice. Be open to the freedom that is created from dedicating this time to yourself. Bex Urban welcomes us to this season of Move to Meditate where she will share a variety of practices to open the body and the mind. Bex shares some tips on how to create your space for meditation and set yourself up for success.